Best Business Ideas for Women – Today Women are aspired to start new business and they are looking for new business ideas. 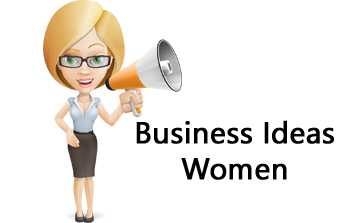 In order to help them we are herewith 10 Best Business Ideas for Women. Have a Look. Beauty Parlor: Beauty Parlor is most popular and common business idea of woman. Every woman loves to do makeup and stay up to date with this modern era. This makes idea of beauty parlor successful. To open a beauty parlor you just need basic equipments, quality products of cosmetics and training. This business can be started with low investment. Independent Consultancy: You can start your independent consultancy business if you have good knowledge of market and have good contact with people. You can start this business with low investment. Boutique: Cloth and accessories are most favorite things of the woman. If you are good at selection or design of the cloths you can think of opening boutique. You need to keep unique designer cloths and accessories to become successful in business. Restaurant: If you are good at making food, you can start your own restaurant business. If you are not comfortable in making investment you can start household business of Tiffin service. Internet Business: If you are good at doing technical job online you can start your freelancer business. You can take project online and work from anywhere. You just need computer and internet connection. This is one of the easiest business ideas for woman. Fitness Center: You need investment to start your own fitness center. This investment is towards buying equipments in Jym. If you can afford this it is one of the best business ideas. Now a day people are ready to spend money to stay fit. It is ever green business. Moreover, if you are a Yoga Expert, you can start sessions for yoga as well in your fitness center. What an amazing idea! Isn’t it? Child Care Center: Women are best at handling kids. If you love playing with kids you can start your own child care center. You need to plan some interesting activities and games which children like. You can charge fix fees for the child care center. Tution Class: You can start your Tution class at home. In order to start tution class you need to be good at teaching children’s. This is ever green business and can be started with low investment. Stitching Jobs: If you know stitching jobs you can start home base stitching jobs. This business can be started by woman with very low cost. Hobby Classes: You can also think of starting hobby classes. In order to start hobby class you may need to hire expert in respective areas like drawing, craft, music, dancing etc. These business ideas are best business ideas for women and can be started with low cost. Hope you like these ideas. If you have any queries you can post it in comment section given below.